Banana bread muffins are a pretty big deal in our house. Not only are we sharing this amazing recipe, but we’re also sharing our secret ingredient that takes this banana recipe to the next level! Keep reading, and watch our quick video showing all of the steps. It’s the perfect, moist, cake/bread combination! We’ve perfected this recipe to make some of the best, extra large, perfectly baked, mouthwatering banana bread muffins EVER. Because bigger is better, right? I don’t take it lightly calling something THE BEST. I reserve that phrase for my absolute very, very best – and these banana bread muffins fit that mold. What makes this the best recipe? I change things up and add a secret ingredient. It’s something rarely found in banana bread, but a common ingredient in baking It will rock your world when you use it in this recipe. Not only do all of the flavors combine perfectly, but the bread will stay moist and spongy and be the perfect cake/bread combination. I can’t wait for you to try this! What are Banana Bread Muffins? Banana Bread Muffins are cupcake sized banana bread. 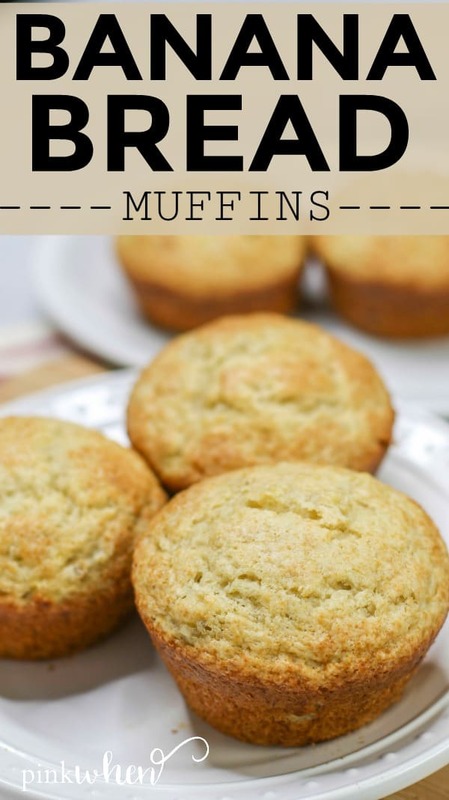 They are made in a muffin tin and are perfect for snacking, dessert, or for breakfast. The most significant difference between my muffins and most is that I like to use the extra large muffin pan and bake them to perfection. Twenty-five minutes and you will have the most perfectly baked banana bread muffins, ever. How do you Make Banana Muffins Moist? These banana bread muffins are kept moist by adding a third ripe banana to the recipe. All of the ingredients in an easy banana bread recipe, plus our secret ingredient, and an EXTRA banana will keep the banana muffins the perfect, moist consistency you will love. How do you Make Banana Muffins Fluffier? You should mix dry ingredients first, and then the wet ingredients in a separate bowl, before folding them together for the perfect dough. While this seems relatively meaningless, it is the best way to create the ideal, fluffy banana muffin dough. 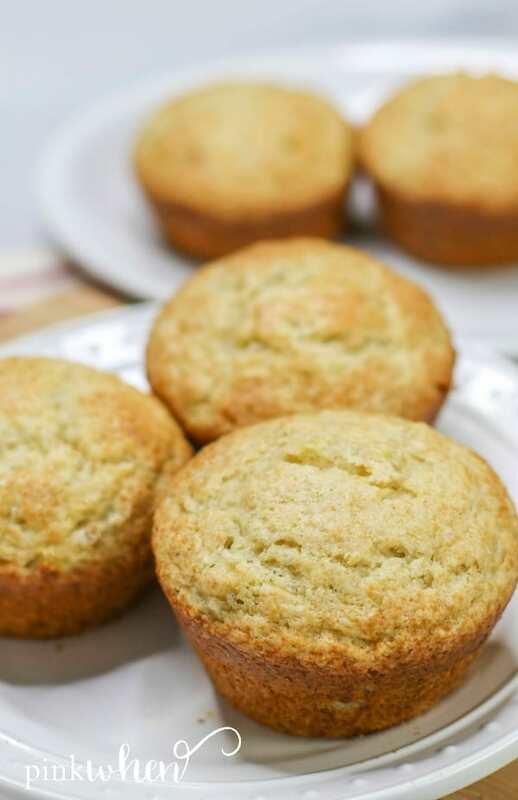 What is The Secret Ingredient to the Best Banana Bread Muffins? Our one little secret ingredient is something you probably already have in the kitchen. It makes the flavors meld perfectly into the realm of “is this cake or is this bread?” It’s so good, and it’s so simple. If you have never added this to your banana bread recipes, I urge you to do so. It will quickly change the way you bake! The hint of molasses from the brown sugar takes this recipe to another level. 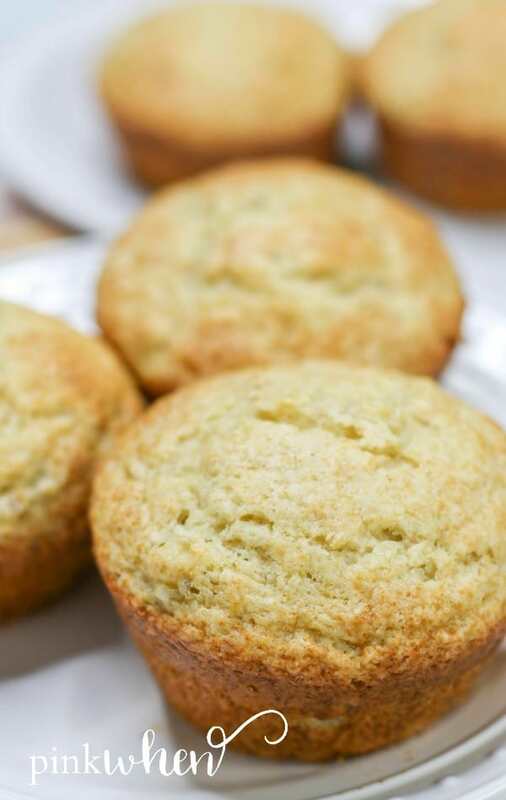 What Ingredients Do I Need to Make Banana Bread Muffins? Mix the flour, sugars, and baking powder in a medium sized mixing bowl. Mix well and then set aside. In a small mixing bowl add the mashed banana, vanilla, butter, and egg. Mix well. Take the banana mixture and fold it into the flour mixture. Mix everything with a spoon and by hand. Do not use a mixer. This is one of the critical steps to keeping these banana bread muffins fluffy. Make sure all of the ingredients are mixed well and form a dough. Use an ice-cream scoop to place the muffin dough mixture into a jumbo muffin tin. Bake on 350 for exactly 25 minutes. This should give you the perfect golden brown, fluffy banana muffins. Changing a couple of key ingredients can make this banana bread muffin recipe a little healthier without giving up the quality of the flavor. You can substitute all-purpose flour with oat flour or coconut flour. If you want to skip the butter, add in one-fourth cup of unsweetened applesauce. Store any leftover banana bread muffins in an airtight container, out of direct sunlight, and in a cool area out of direct heat. Because this recipe only makes a half dozen large muffins, the leftovers generally won’t be around long enough to keep! But just in case any remain, store the banana bread muffins sealed in an airtight container in the refrigerator after a few hours. They will keep for up to three days. 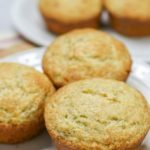 If you are making these in bulk or baking for a later date, you can quickly freeze any extras muffins. Wrap each muffin, and use a freezer-safe container. You can safely store these in the freezer for up to 2-3 months. To warm, place them in the microwave and heat for 30 seconds. 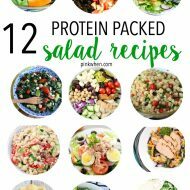 We would love to share more of our favorite recipes with you! 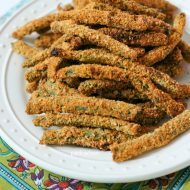 Join our newsletter and receive a weekly email showcasing one of our favorite recipes each week. These are the best banana bread muffins ever. Extra moist, extra large, and extra flavor. In a medium mixing bowl combine the flour, sugars, and baking powder. Mix the dry ingredients well and set aside. In a small mixing bowl, combine bananas, egg, butter, and vanilla flavoring. Mix together well. Using a wooden spoon, gently fold the wet ingredients into the flour mixture. Carefully combine until a dough is created. 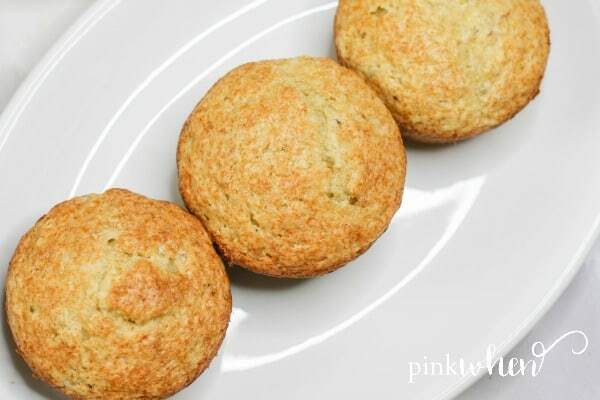 Use an ice-cream scooper to scoop the muffin mixture into a large muffin tin. Filling each opening about 1/2 to 1/3 of the way full. Bake for 25 minutes. Remove from the oven and allow to cool for a few minutes before serving. For smaller muffin tins, adjust the baking time to 12 minutes. Substitute oat flour or coconut flour for all-purpose flour. If not using butter, substitute 1/4 cup of applesauce. 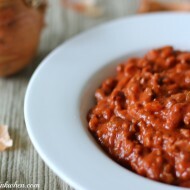 « Easy Tomato Basil Chicken – One Pot Meal!